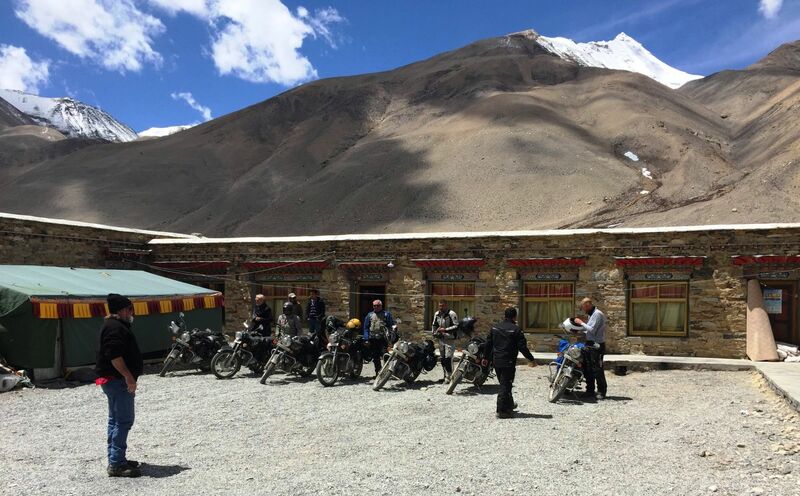 We stayed at the Rongbuk Monastery, right at the base of Everest. 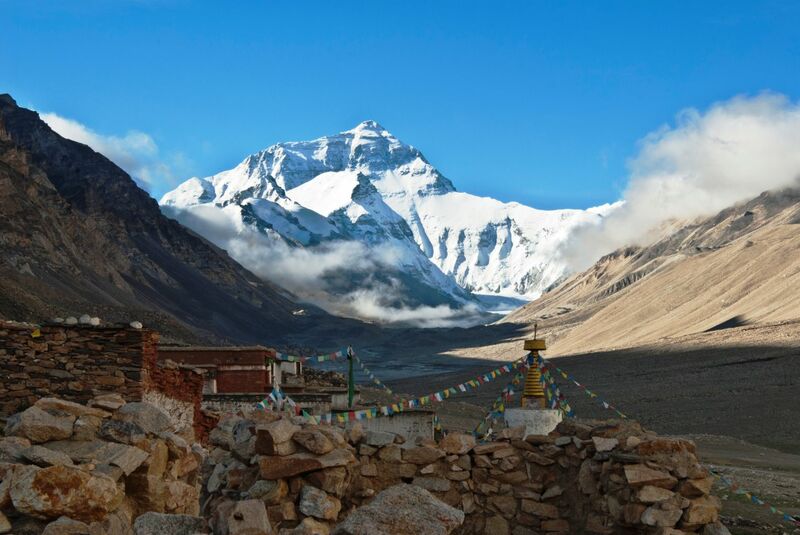 If you fancy looking at photos of Everest, you’ve seen it. Rongbuk Monastery was completely destroyed by the excesses of China’s Cultural Revolution (1966-1976) and was left in ruins for several years, as recorded by photo-journalist Galen Rowell in 1981. The monastery’s vast treasury of books and costumes, which had been taken for safekeeping to Tengboche, was lost in a 1989 fire. Since 1983 renovation work has been carried out and the new murals are excellent. Adjacent to the monastery there is a basic guesthouse and small but cozy restaurant. There are only about 20 nuns and 10 monks, although previously there were about 500 monks and nuns living here. 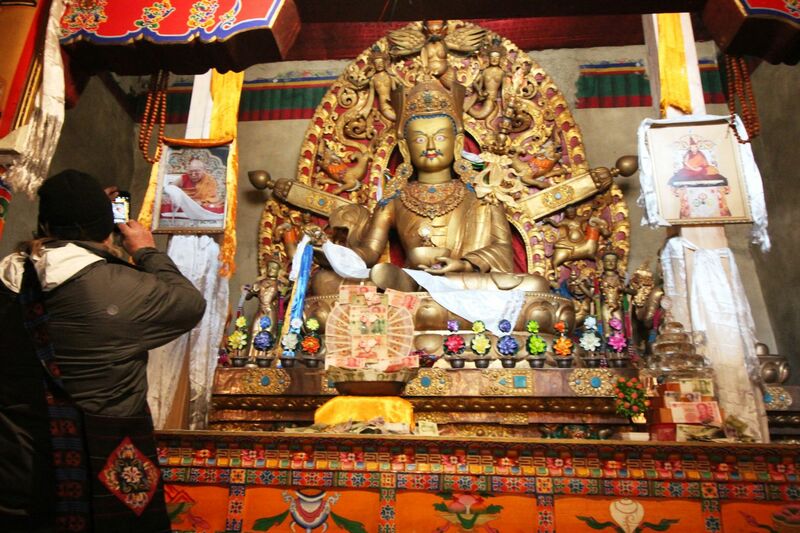 In 2011, Rongbuk Monastery was ranked at the top of CNN’s ‘Great Places to be a Recluse’. As Ping Ping was talking with the monk who would let us in, I noticed he had the Egyptian eye of Horus on his shirt. One of my favorite Egyptian symbols, I promptly took mine off and gave it to him, he happily put it on. 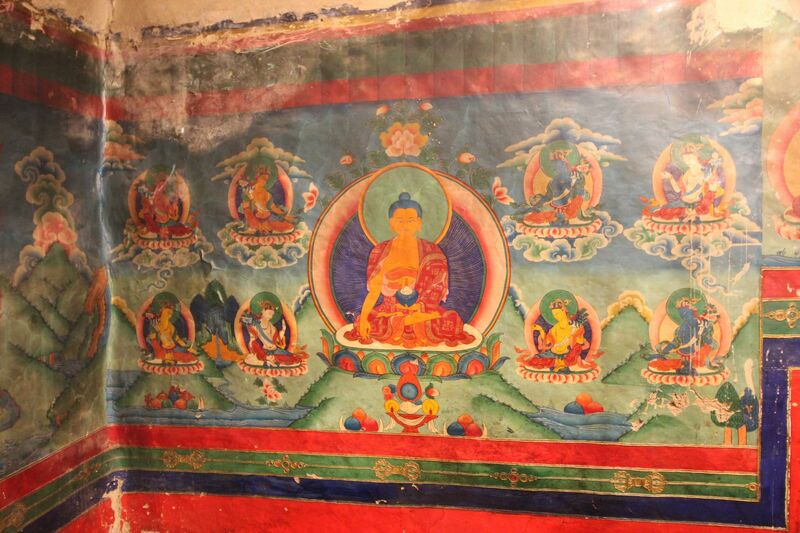 It turned out that this monastery too was founded by the 10th Dalai Lama of the Red Hat sect. It has beautiful paintings decorating the walls. Dean asked to play the drum and was granted permission. It filled the small room with a resounding deep tone. I noticed a porcelain statue of Avalokitasavara on the altar. She also has great importance in my life. The monk smiled and said yes, she was the same, but they call her Tara. 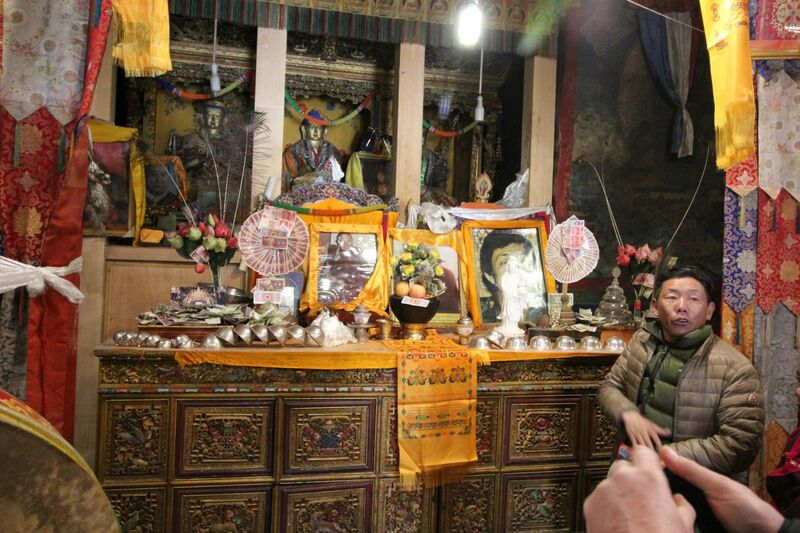 Again, Ping Ping is very good friends with them and we were able to take a very rare look not only in the temple, where services are held but escorted upstairs to an absolutely stunning, forty foot brass statue of Rinpoche. The massive brass statue was against a wall in a tiny room only ten feet deep and forty feet wide, a small area to actually view this beautiful statue. My mind reeled I tried to absorb the magnitude of this. “Who comes here, upstairs to view this statue?” I asked the monk. “You!” he replied very Buddhist Monk-ishly. I was honored to be granted access to view such things, to ask questions through Ping Ping and to take photographs. Rob and I were the last to leave and sat in the courtyard for a long time in silence. 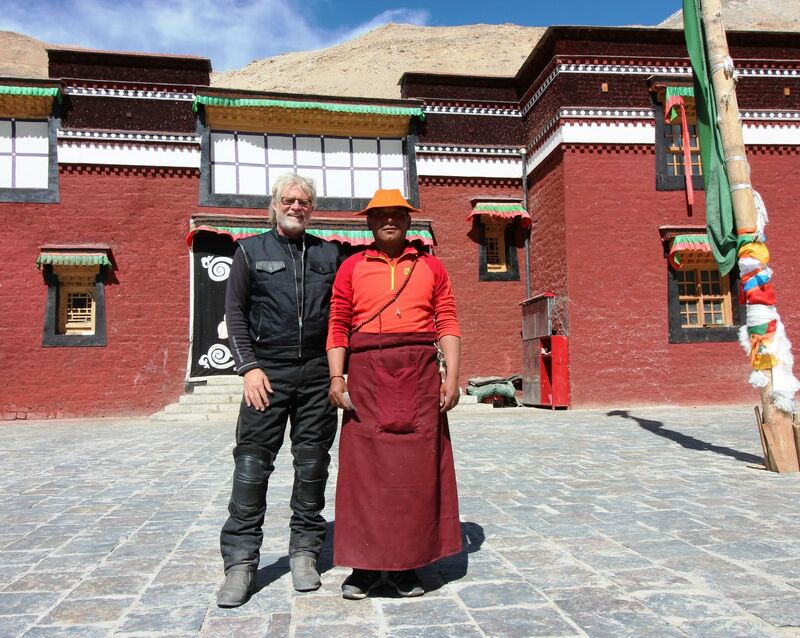 It was in that silence I sensed Rob’s deep respect and understanding of Tibet, its culture and history. He has spent a lifetime not only offering foreigners a very unique way to see this country, he offers much more to those who are willing to see. A lens deep inside that the outside world will never see or understand. But all this majesty comes at a heavy price. You have no idea what it’s like at 17,000 feet altitude unless you’ve been there.